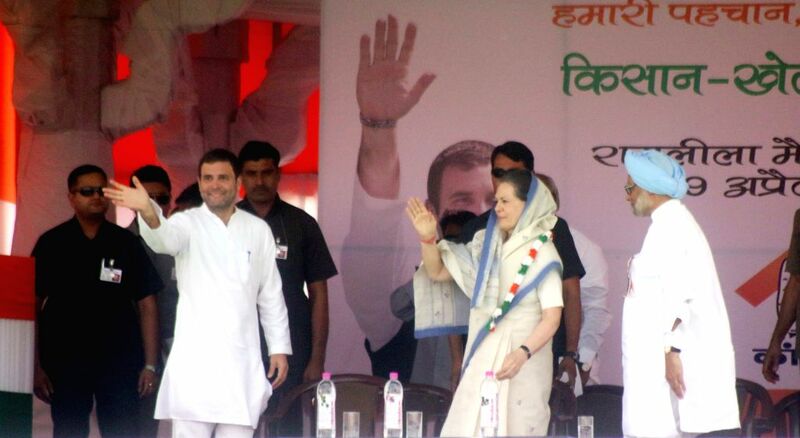 New Delhi: Congress president Sonia Gandhi, Congress vice-president Rahul Gandhi and former prime minister Dr Manmohan Singh during party's Kisan Rally at Ramlila Maidan in New Delhi, on April 19, 2015. 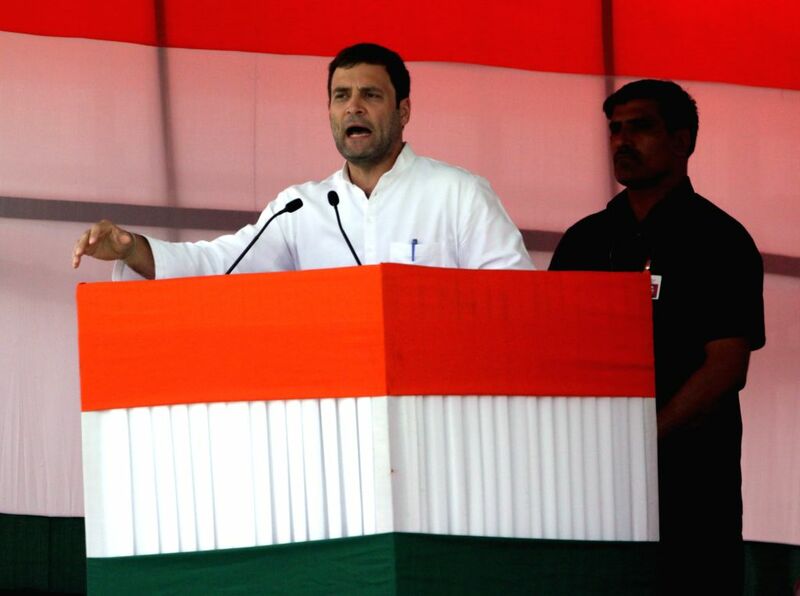 Congress vice-president Rahul Gandhi addresses during party's Kisan Rally at Ramlila Maidan in New Delhi, on April 19, 2015. 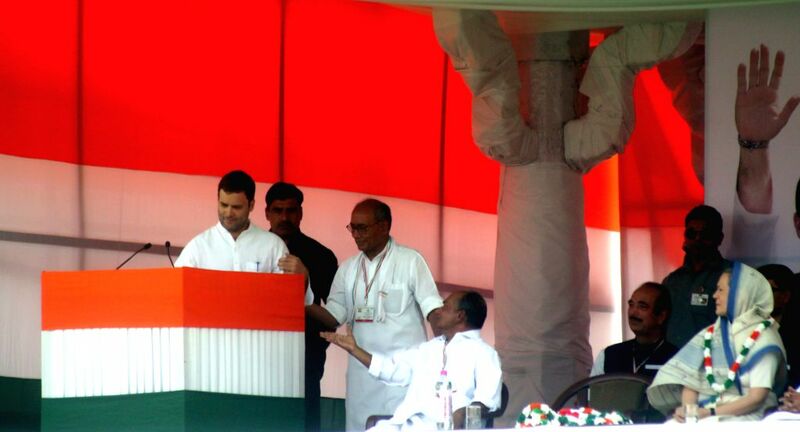 Also seen Congress leader A K Antony. 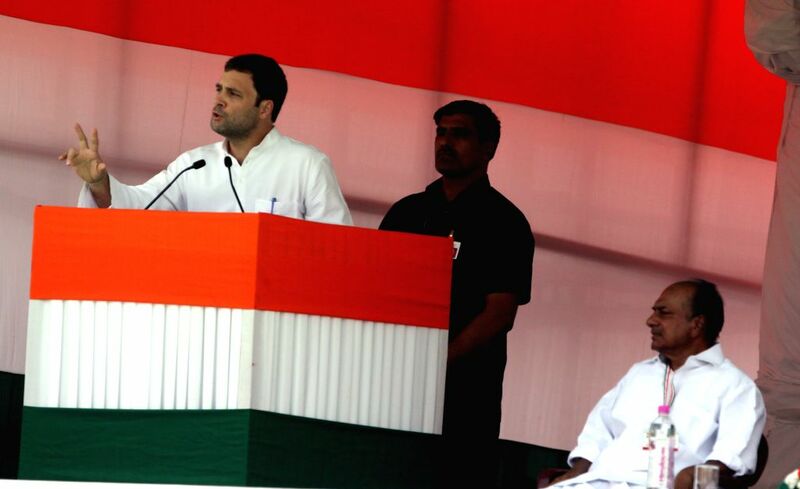 Congress vice-president Rahul Gandhi during party's Kisan Rally at Ramlila Maidan in New Delhi, on April 19, 2015. 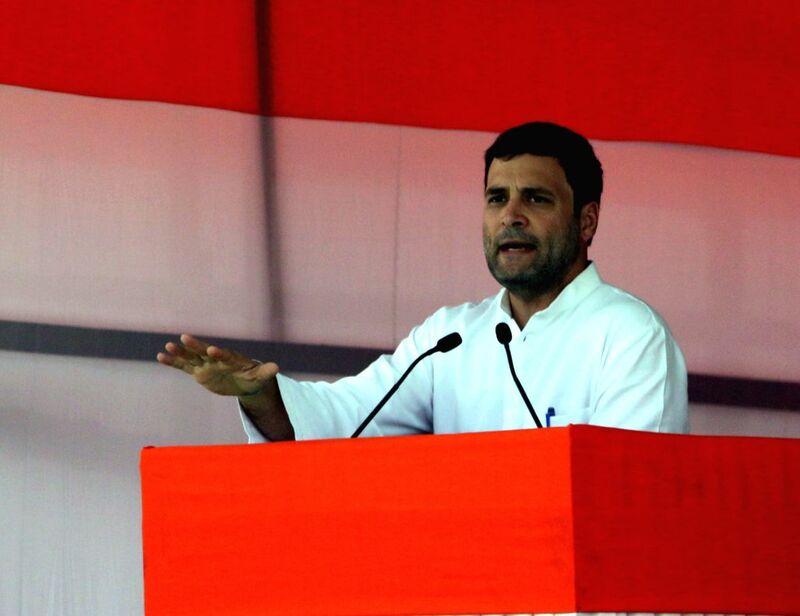 Also seen Congress president Sonia Gandhi, party's general secretary Digvijaya Singh, party leaders Ghulam Nabi Azad and A K Antony.